Since this summer, filmmaker Kevin Smith (Yoga Hosers, Clerks) has been developing a television version of the cult classic MGM film The Adventures of Buckaroo Banzai Across the 8th Dimension for Amazon Studios. 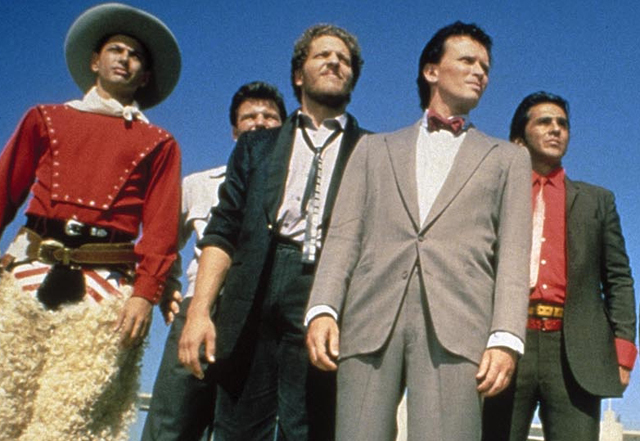 However, Deadline is now reporting that Smith has promptly exited the Buckaroo Banzai TV show after MGM filed a federal lawsuit in California against the property’s original creator/writer Earl Mac Rauch and the 1984 film’s director W.D. Richter over complicated rights issues. The cult filmmaker/podcaster stated that he would not want to be involved with the property without the involvement of Rauch or Richter. Smith had previously spoken to ComingSoon.net exclusively about his ideas for the show, which involved potential guest directors like Richard Kelly, Edgar Wright and Quentin Tarantino. Are you disappointed that Kevin Smith has exited the Buckaroo Banzai series? Sound off in the comments below!